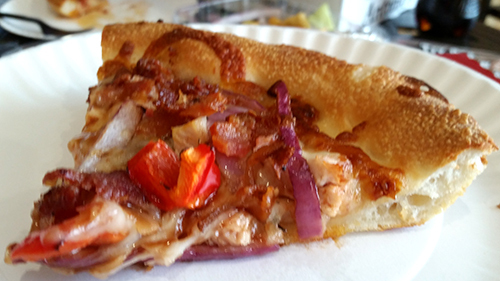 Since Antonio’s has spent a long time getting the doors open, I was treated instead to the new Master Pizza in Medina. Well, they’re open now and we did pretty close to a pie for pie comparison, with varying results. 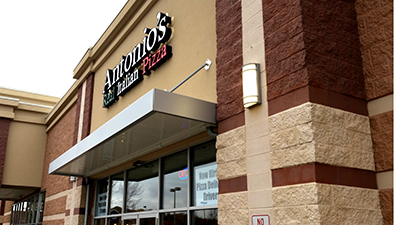 In a certain oddity, while Master Pizza was decked out and welcoming to our dine in experience, Antonio’s puts their poor employees in the uncomfortable position of having to do the opposite. 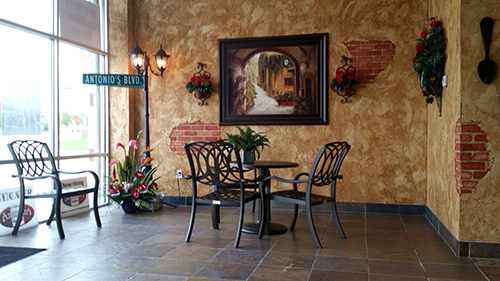 There are three little tables in a well decorated lobby at Antonio’s. We told them three times we were going to eat there. They pretended not to hear. At one point I think I saw the dude who took our order close his eyes and repeat the mantra “Please don’t eat here, please don’t eat here, please…” as though it were a prayer. Whether we’re stubborn or too stupid to pick up on the signals, it was eventually explained to us the employees have no idea why so much money is spent decorating and putting in furniture when, because they have no bathroom, they have to offer “picnic style dine in”. Whatever that means exactly. They did sheepishly bring us boxes and paper plates. Always kind of a bummer when corporate or owner morons don’t really think things through and put a bunch of mostly kids in awkward positions which will likely put off some customers. 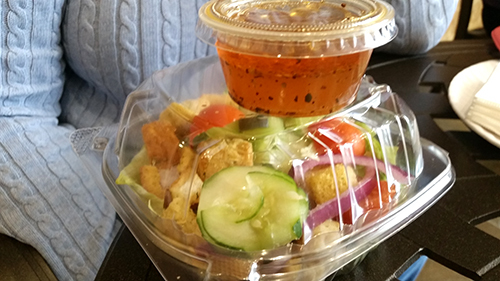 The salads were both cold and crisp and served with house made Italian dressings. 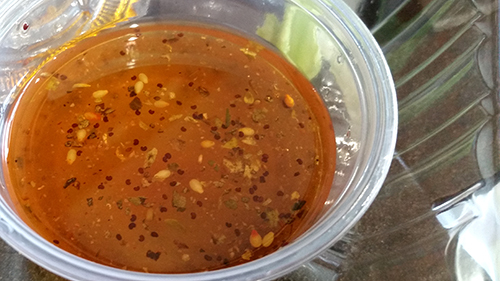 Master’s dressing was opaque and mild, Antonio’s lots of floaties for flavor and…well…sweet. Way sweet. Didn’t see that coming. Both are fine but won’t crack the OMG realm of Italian dressing. Instead of cheese breadsticks we switched it up a little with Antonio’s Philly cheesesteak nuggets. 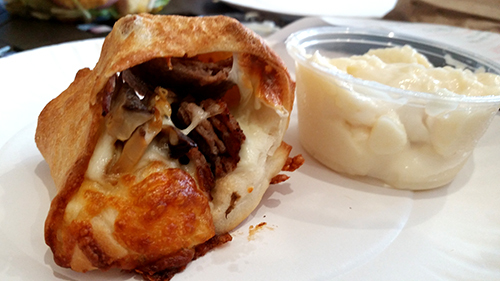 Steak, provy, white American cheese, shrooms, nothing to get mad at here. 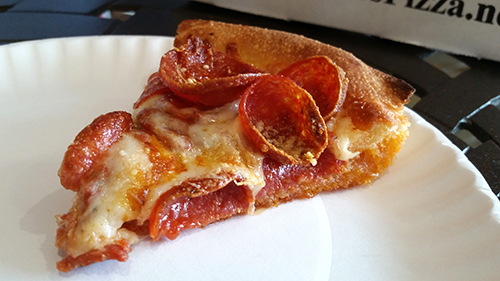 I noticed Antonio’s crust has a serious pull and chew, lotsa bread flour in there, but it missed out some in flavor, not having developed much in a long slow rise. 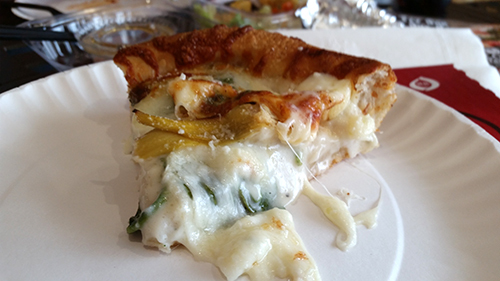 One slice that destroyed Master was the spinach and artichoke dip at Antonio’s compared to the Popeye. 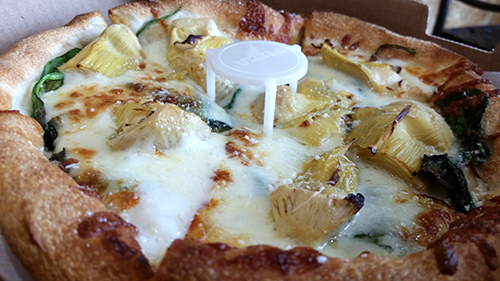 Antonio’s alfredo sauce and the lid of provolone and Romano delivered some salty cheesiness, while the spinach and briny artichoke hearts resulted in flavors Master couldn’t hope to meet. 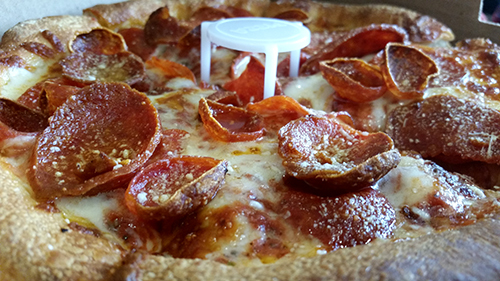 The pepperoni trio at Antonio’s had one more type of pepperoni than the Pepperoni Passion at Master. It also had about half the flavor from the topping. Win to Master. Our last was Nana's bbq chicken, which was fine. 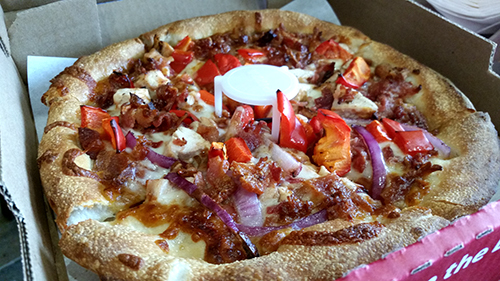 Sweet tomato based sauce, grilled chicken, some veggies, peppers, onions and bacon. Add some provolone and it’s fine. If deciding between the two you should probably base it on which you’re closer to and whether or not you want to dine in. The pies are a split.